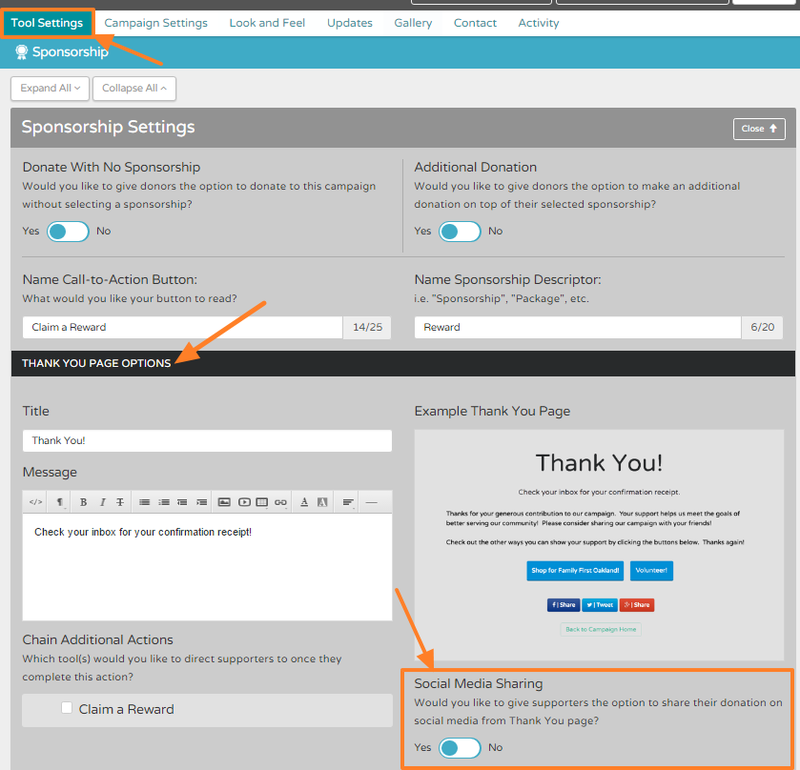 By default, the Thank You page for a campaign (which is shown immediately after a transaction is processed or a sign-up is completed) will have social media sharing buttons for your supporters to share this campaign on their social media. To turn this off, go to the tool settings for the tool which you are using, and navigate to the Thank You Page options section. The Thank You Page settings will be the first tab under the tool settings.